Project management is one of the most demanding, non-degreed, professions you can pursue. 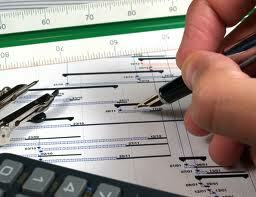 Try to imagine the job of a project manager for a bridge construction project or a software development project. Find a schol today that offers a financial planning degree. At most universities, an extension program of 12 to 15 credit hours or a direct certification program from the Project management Institute are typically offered. At most institutions project management training is a graduate level program and can be a part of a Master’s program. The direct certificate route requires either a Bachelor’s degree or 8000 hours of on the job experience. The Bachelors programs that qualify are not limited. However, it is highly recommended that you major in the field that you intent to pursue such as engineering or computer science. There are certification programs that allow you to sit for the exam with as little as 23 credit hours or 1500 hours of practical experience. However, your real experience of this profession will require the full degree program to gain real traction. According to current statistics, there are 209,000 IT project managers, 551,000 construction managers and 184,000 engineering project managers. That is 944,000, a significant proportion of the total U.S. Employment. Salaries are in the range of $75,000 to $120,000 depending on your chosen field and experience level. Employment growth is very strong at 13 to 19% for construction manager, 3 to 13% for IT managers, and 3 to 6% for engineering managers. Regardless of the field, you should choose this is a highly rewarding profession. You will be responsible for insuring schedules and production timetables, materials management, personnel management and almost every aspect of the project at hand. You will take charge and the success of the project will rest on your shoulders. Moreover, you will have a personal hand in building the future that we will all live in. from bridges to new software to solar energy systems, you will be insuring that everything is on time and on budget. The single factor that drives the growth of this profession is the growth of society. How many new buildings, bridges, power plants, roads, sewage system and other aspects of our society will be needed in the future? The U.S. stimulus program is focusing on infrastructure redevelopment as the key to revitalizing the economy. This means strong growth in the construction and engineering sectors, just to name a few. In addition, the IT project management field is expanding, as the Internet grows worldwide. Your decision to become a Project Manager in whatever field you chose will insure your future and guarantee that you have loads of fun at the same time.